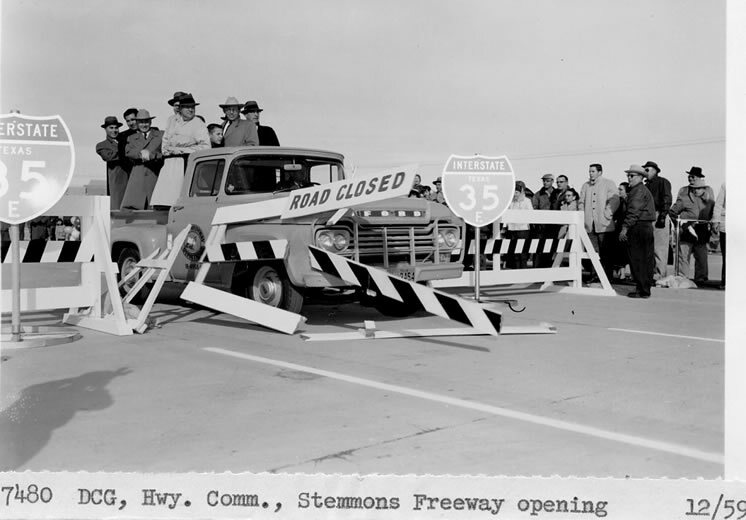 Crash Opening ceremony for the Stemmons Freeway, December 1959. 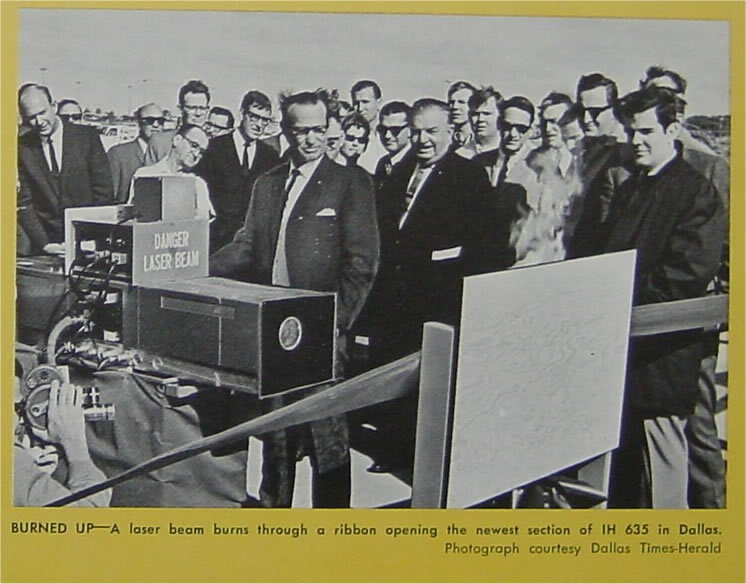 Burn Ribbon burning with an LBJ branding iron, opening of first section of LBJ, March 1967. 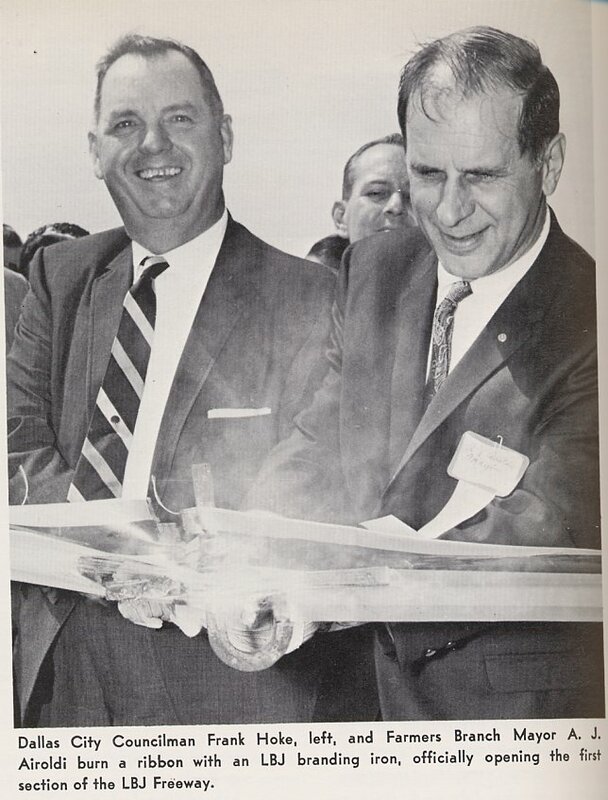 Burn Ribbon burning with a laser, late 1968 opening of a 10 mile section in northeast Dallas.